Dr. Lorino was born in West Berlin, Germany, but grew up in Cleveland, Tenn. He graduated from East Tennessee State University, where he played division I tennis, and the East Tennessee State University James H. Quillen College of Medicine. He completed his internship and residency at the University of Alabama Birmingham. 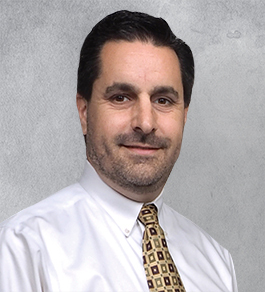 Dr. Lorino is Board Certified in internal medicine and joined Internal Medicine Associates in 1998. He is a member of the American College of Physicians and the Tennessee Medical Association. He enjoys playing golf, hiking, reading and traveling with his wife and two sons to junior tennis tournaments. He serves as the volunteer physician for the U.S. Tennis Association’s Knoxville Challenger Pro Tennis Tournament. To request an appointment with Stephen P. Lorino, MD, call 865-546-9751 and press 3. Specifically request an appointment with Stephen P. Lorino, MD, with the appointment manager.